Simple paragliding flight instruments are very inexpensive but the more features that you want, the more that you are going to have to pay. Instruments range from a simple variometer right up to a flight planning computer that will tell you where you are on the planet, where you are going and when you are going to get there. Paramotoring instruments can also monitor your engine as well as all of the usual things that you would expect. Actually, you don’t. Well, not in the beginning of your flying career. You can actually learn a lot about the conditions when you are in the air without any instrumentation whatsoever and this ‘seat of the pants’ type of flying is how many of us started. But realistically, this will only work up to a point. It can be very difficult to climb in a thermal without the help of at least a variometer. The big problem is that it slowly becomes impossible to tell if you are climbing once the initial surge and acceleration on entering the thermal is over. This is to do with how your inner ear canals work. They can sense an acceleration but they cannot sense a slow change of altitude. This is especially important when trying to climb in weak lift. When the thermal that you are in is only rising at a slow rate, it soon becomes impossible to tell if you are going up at all. This is where the beeping indications of the vario come into play. As long as you are in lift, the vario will continue to beep and the speed of these beeps will depend on how strong that the lift is. The faster you are going up, the faster the beeps. If the beeps decrease in speed, you can then use various thermaling techniques to help you find the stronger parts of the core again and continue up to cloudbase. So what are the features that you can expect? 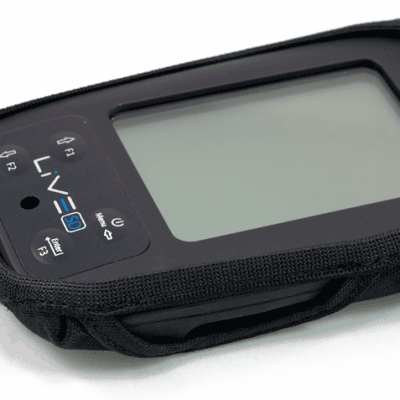 Variometer: As already described, this is at the heart of all paragliding flight instruments. At its most simple, this can just be a little box that beeps when you are climbing. At its most sophisticated, it can be programmable for different sounds for different climb rates or even upload your own sounds and tones. 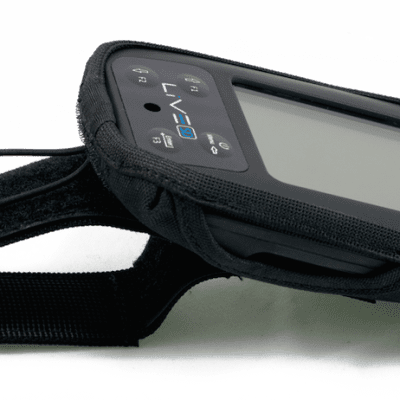 Variometer including visual display: Same as above but add an LCD display for an accurate readout of the exact speed that you are climbing or sinking. 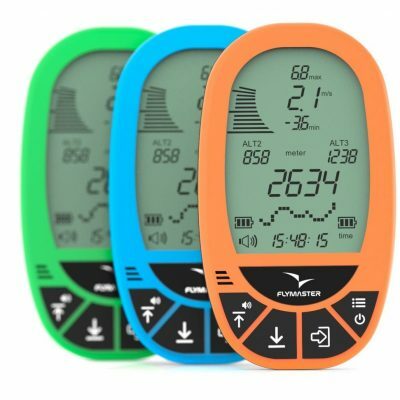 Altimeter: This will always be in the form of an LCD type display that will tell you exactly what your altitude is to an accuracy of one meter. 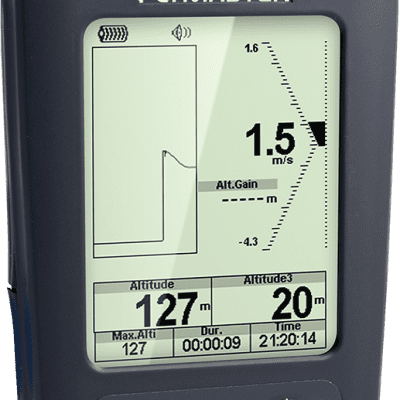 Paragliding flight instruments are available with up to three different altimeters depending on the information that you require and the type of flying that you are going to be doing. A single altimeter will simply give you your altitude above sea level. A twin altimeter instrument will also display your height above takeoff or the landing field. 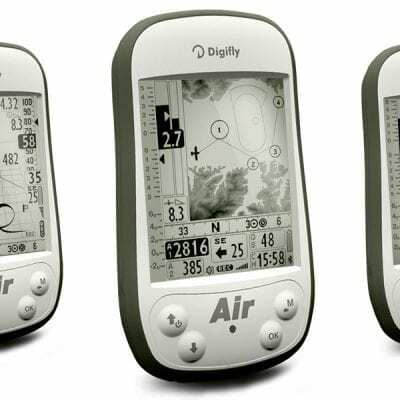 An instrument with three altimeters will also display flight levels as found on an air chart and will be vital if you are planning on spending time at cloudbase and flying cross country. Most instruments with a display will also show you the current air temperature. 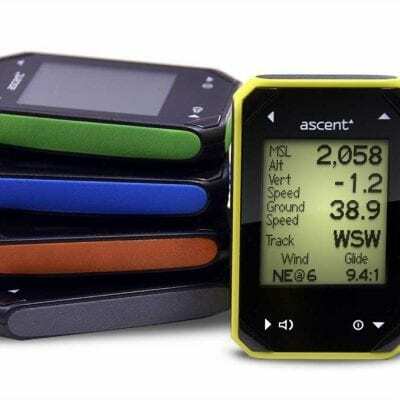 Wind speed and direction at altitude: This is the next on the list of feature sets. 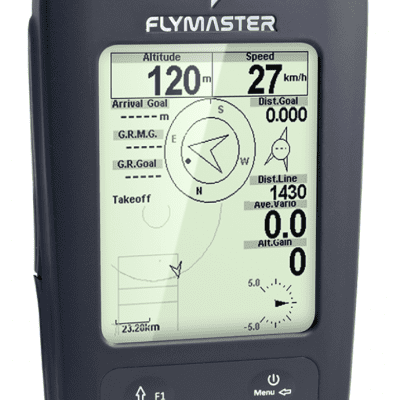 If you purchase an instrument with a build in GPS, it is possible that the device will be able to give you additional data such as what the wind speed and direction is at the actual height that you are flying. This is extremely handy to have especially for cross country flying. 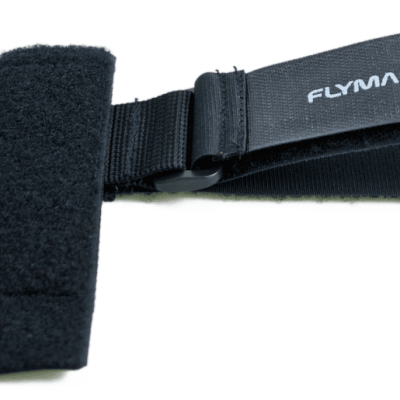 As well as a great safety feature, the instrument will be able to advise you on the perfect route for your flight. Speed to fly: This feature uses an onscreen indicator to show you the exact speed to fly to give you the optimum gliding angle whether you are in a head wind or a tail wind. This information is calculated from the onboard GPS and vario, combined with various electronic damping and adjustments to give you an extremely accurate piece of data. Mapping & Alarms: The highest specification instruments will also give you onboard maps and airspace warnings in addition to all the above features. If you are planning on cross country flying this is probably a vital feature unless you are happy using a physical map instead of relying on an instrument for your information. 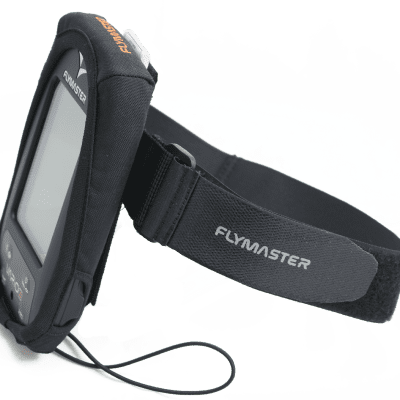 However, if you decide to rely on a map and do it the old fashioned way, you will need to know how to use that map in conjunction with your altimeter to tell you exactly where you are at any given time. By having all of this data available on your instrument in an easy to read format, it will cut down on the pilot’s workload massively allow him or her to just get on with the flying. If you were to get too close to airspace the instrument will warn you. It can even tell you that you will be infringing on airspace in the next couple of minutes based on your current climb rate if you were to continue at that rate. Not only can mapping give you information of the current airspace anywhere in the world that you may be flying, it can also give you terrain information showing you what is on the other side of that mountain that you are gliding towards. If you hill fly, especially in the windy UK, this is a must have, vital piece of equipment. Over time you will learn to quite accurately judge what speed the wind is blowing over the hill but this will take a lot of experience. The other issue is that when the wind is cold, it feels windier than it really is and when it is warm, the wind can actually be blowing a lot harder than it appears to be. When you are new to the sport you can’t risk trying to launch in conditions that are too strong for you as it will usually lead to a good dragging. As well as the maximum wind speed, an anemometer will also tell you what the gusting factor is which is just as important in know if you can launch or not. The maximum and minimums will be an excellent indicator of what conditions are doing in the air and in most pilots experience, are not usually wrong. As always, it is encouraged that you ask a question if you need clarification on anything that is written above using the form at the bottom of the page. If something is puzzling you, it is guaranteed that you will not be on your own. By putting your questions on this page, other pilots will also be able to learn.